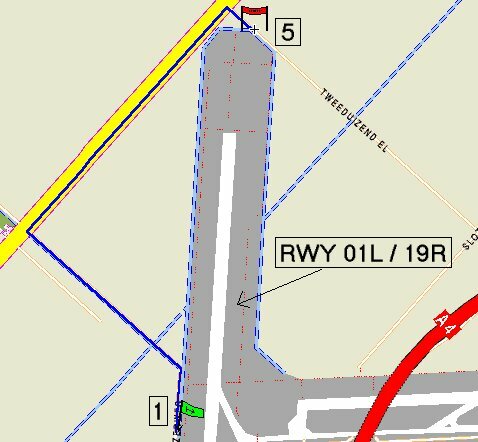 A spot in the extension of runway 01L / 19R. A good spot if runway 19R is in use for landing. Here again the planes come roaring over your head. standing directly under the approach line. Not a good spot when runway 01L is in use for take off. Again the planes are already too high when they pass.